Filtering by Category: "Honda Super Hawk 996"
Tomas, Pancho Cummings, and I made a trip out to Elgin, Texas on Friday, 12/28/12, to look at a 1998 Honda Super Hawk. Tomas ended up buying it so we trailered it home that same day. When the owner saw us showing up with a trailer in tow he must have figured that these guys meant to buy something. 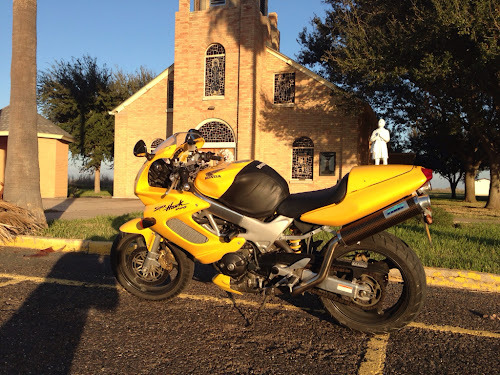 The bike has approximately 9,500 miles on it, and came with lots of extra parts; two additional exhaust systems, a second seat, pegs, rear shock, wind screen and two maintenance manuals, plus maintenance DVD, jet kits and two extra oil filters, and brake pads. After a short test ride we loaded the bike and headed home. 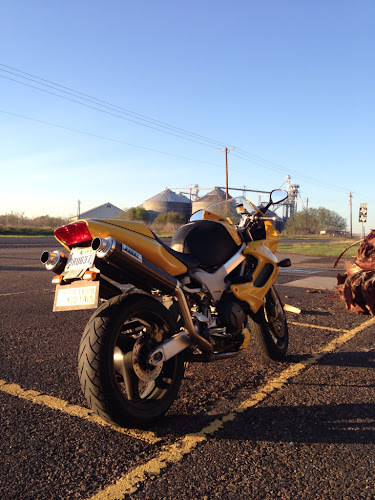 A quick 700 mile trip to pickup a nice looking bike in great shape. They say it's a poor man's Ducati, but with Honda reliability. It sure rides great and looks like we'll soon be on the road to give it a long test ride. 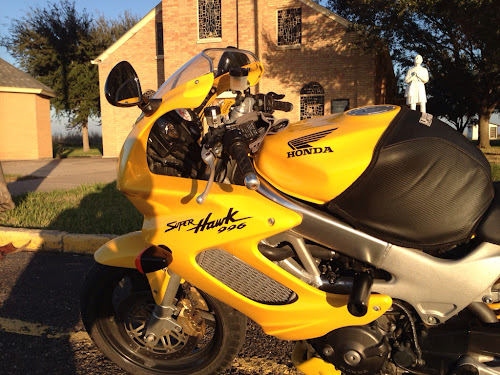 categories "Honda Super Hawk 996"